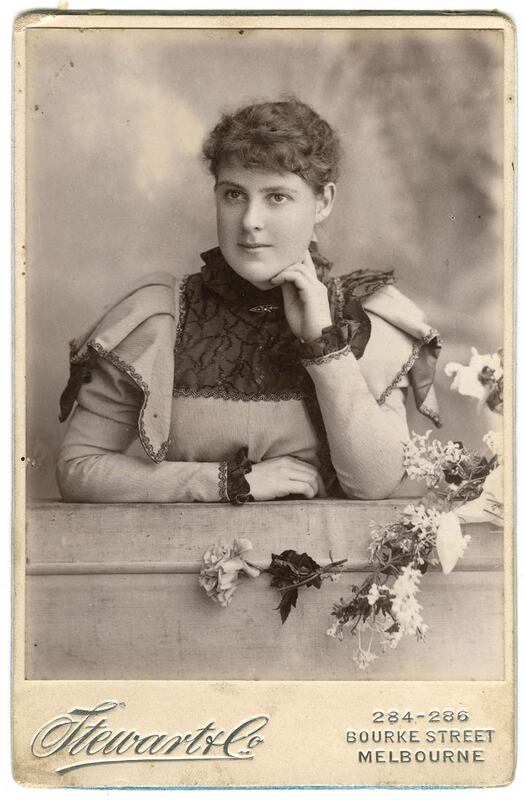 This quaint cabinet portrait is by the studio of Stewart & Co, probably dating from the 1880s. It is a sentimental portrayal of Victorian femininity, the sweetness enhanced by the purplish tinge from the albumen emulsion. It is fine portrait of an unmarried young woman and would have meant a lot to her loved ones at the time. Who was she and what purpose did the photograph serve? Who knows? It has no identifying name on it and I bought in a secondhand store for $6. We are all destined for such anonymity and oblivion! Cabinet portraits were a commercial format that followed on from the immensely popular but smaller Carte-de-Visite of the 1860s. Made of a silver-albumen contact print glued onto an elaborately engraved card, they were 41/2 x 61/2 inches, so-named, according to Wikipedia, because they were large enough to be displayed in a cabinet. Robert Stewart was a commercial photographer with studios in Sydney and Melbourne at various locations from 1867 on. Stewart and Co. occupied studios in Bourke Street Melbourne where this portrait was made. 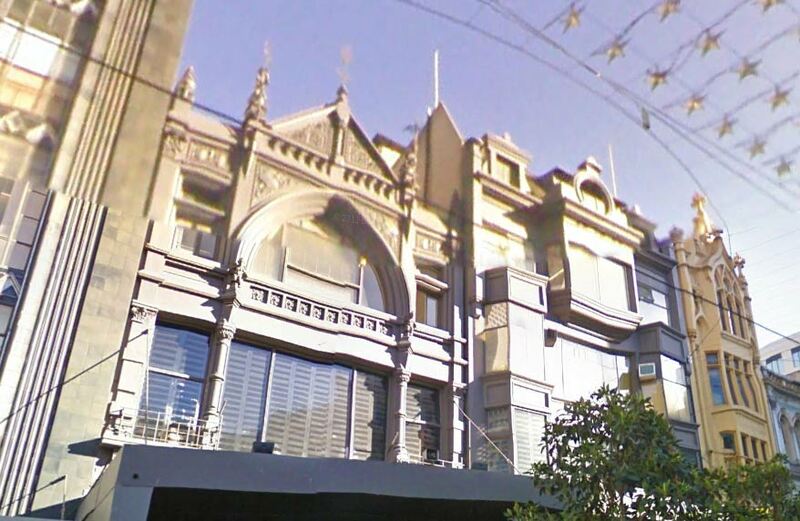 Google Street View of 284 Bourke St. The present building of 1902 (which Darrods department store occupied) replaced the earlier building at this address which Stewart’s business must have occupied. This is a wonderful example of how photographers in the 19th century placed their studio’s contact information on the fronts of photographs. I’m writing a newsletter this week on how modern photographers can do the same on their proofs via a new service being introduced by my photo lab. I’ve been searching for an example of the old way this was done to be a counterpoint to our new approach. Would you be willing to allow me to use this photograph of the portrait of a young girl? Examples of two of my recent newsletters is at http://archive.benchmarkemail.com/Dale-Laboratories/newsletter/How-To-Put-Some-Humor-In-Your–Pictures and at http://archive.benchmarkemail.com/Dale-Laboratories/newsletter/Tips-For-Square-Formatted-Pictures . This newsletter would be in the same spirit of providing information to photographers. Please let me know, one way or the other, if you would permit use of the photograph.